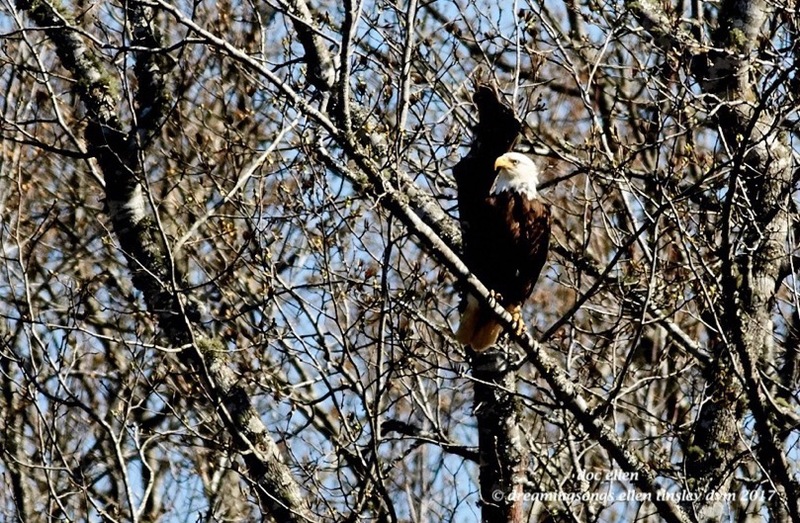 A proper bald eagle scowl. Usually I am the watcher. 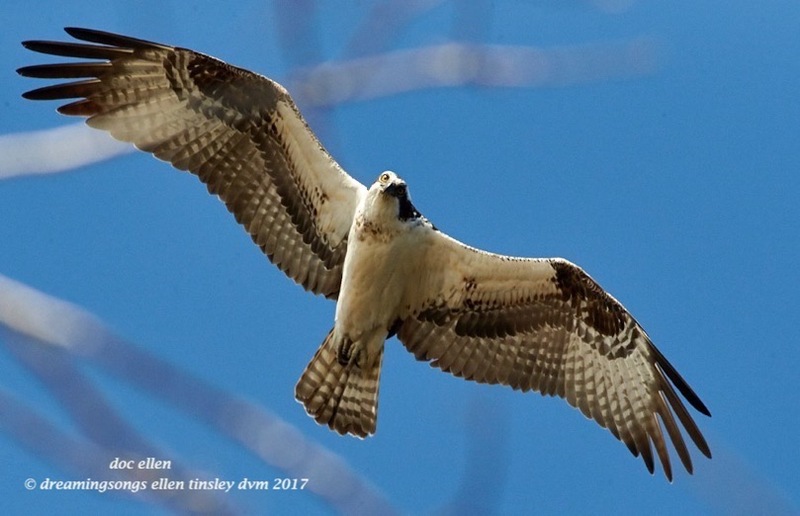 Today I found myself being the observed species by this osprey. 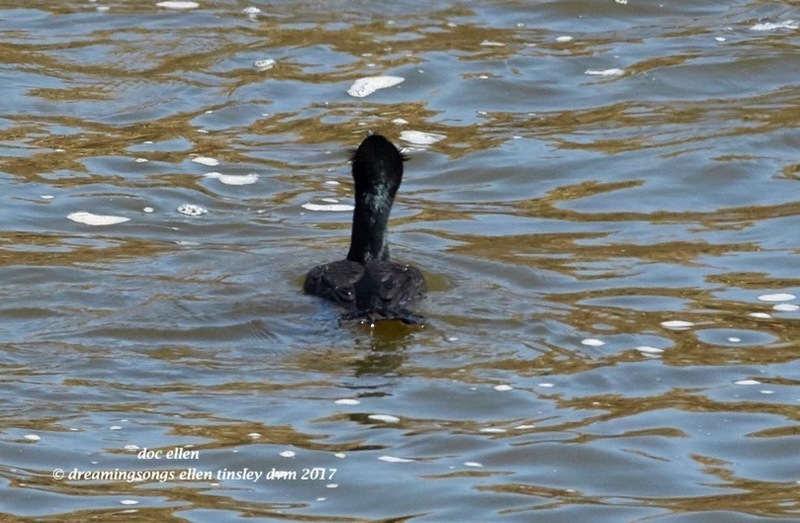 The tiny fluffs of feathers on each side of this double-crested cormorant’s head are his “crests”. 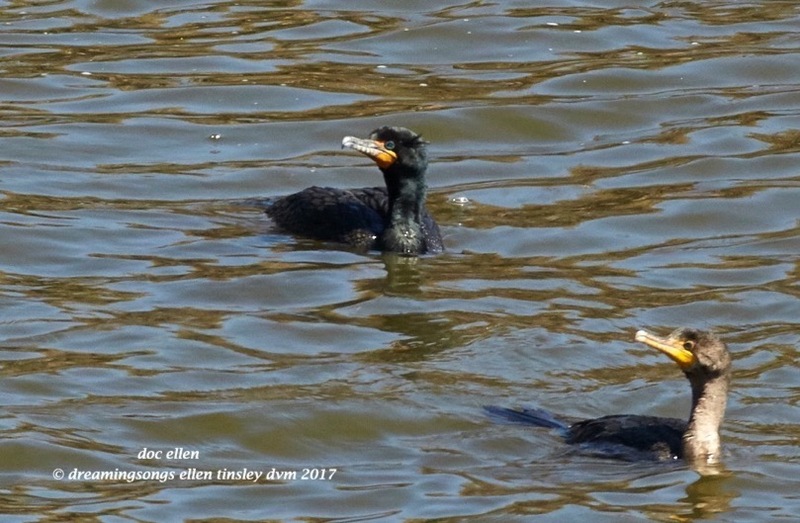 Only the mature double-crested cormorant has the crests. There are none on the immature bird at the lower right. 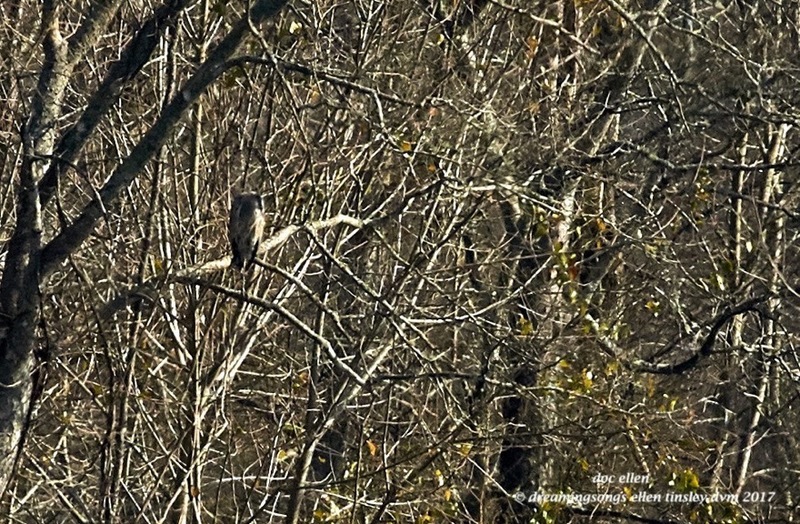 This is a first for me and my camera – a great horned owl. 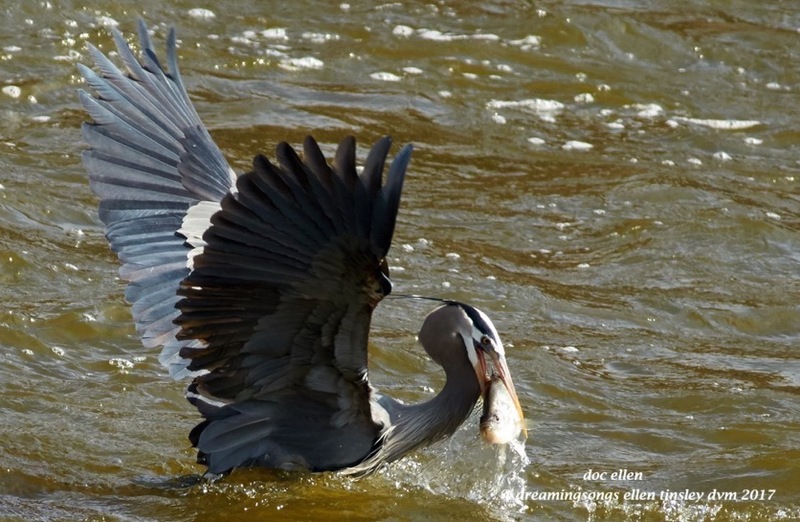 Truly a mouthful…for this great blue heron. Posted in birds, Eagles of Jordan Lake, fish, Jordan Lake, Jordan Lake State Park, ospreys of Jordan Lake, photography, raptors, wild birds and tagged as American bald eagle, bald eagle, bald eagles of Jordan Lake, double-crested cormorant, eagles of Jordan Lake, great blue heron, great blue heron fishing, great horned owl, Jordan Lake, Jordan Lake State Park, osprey, ospreys of Jordan Lake, owl.